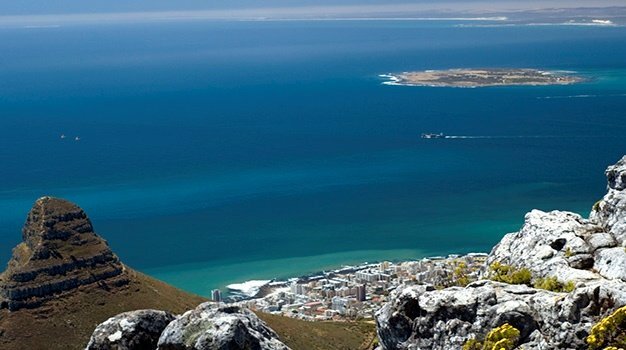 Cape Town - With the past two years declared as the hottest years, a report by the United Nation's World Meteorological Organisation (WMO) has revealed that 2017 will very likely be among the top three hottest years on record. According to the United Nations, this is a sign of man-made climate change that is aggravating "extraordinary weather" such as hurricanes, droughts, and floods. The UN report is meant to guide almost 200 nations meeting from 6 to 17 November in Bonn, Germany, to try to bolster the 2015 Paris climate pact despite a planned US pull out. WMO projects that the average surface temperatures would be slightly less sweltering than a record 2016 and roughly level with 2015. South Africa Weather Service Spokesperson, Andries Kruger, told Traveller24 that their historical temperature record is in agreement with the global trend of warming. "In fact, from the evidence we have gathered, South Africa is warming somewhat faster than the global average trend. From our records of selected long-term weather stations, it is most likely that 2015 and 2016 were the hottest on record for the period since at least 1931," says Kruger. Kruger says very dry conditions were experienced in some regions from 2016, with parts of the Western Cape and KwaZulu-Natal provinces recording the driest years on record. WATCH: Cape Water Crisis: How viable is a festive season 'water tax'? "While the rainfall situation improved in the KwaZulu-Natal province in 2017, the Western Cape drought further deteriorated with water usage restrictions still in place and strengthened." "With the Western Cape receiving most of its rainfall during the winter months, it was hoped that some relief would be forthcoming, but that was in general not the case." "Drought conditions are usually accompanied by above-normal temperatures. This was also the case for the western parts of the country for most of the first half of 2017, spreading to the central parts during the early winter months." "It is therefore likely that 2017 will be one of the hotter years for the country as a whole, but whether it will be the third hottest as the global temperatures suggest, can only be confirmed at the end of the year," he says. 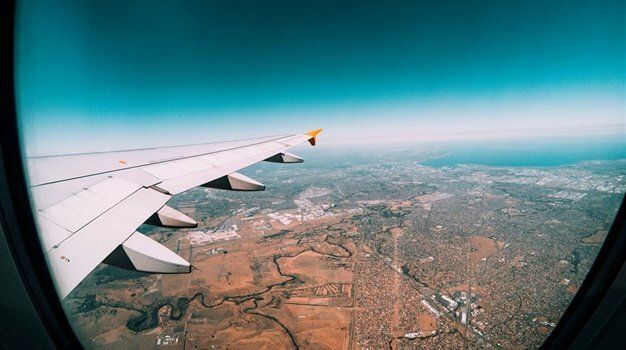 For holidaymakers who are planning on coming to SA for the upcoming peak season, Cobus Olivier, South African Weather Service Scientist, says there is an advisory for increased chances of flooding events to occur during the upcoming summer season over parts of the summer rainfall areas, namely the north-eastern half of South Africa. "South Africa can also experience heat waves during summer, and there is increased likelihood that these events will occur sporadically throughout summer across the country," says Olivier, adding that holidaymakers should be advised that these forecasts are not an indication that events like flooding and heatwaves will definitely occur, but rather that there will be an increased likelihood during summer seasons. The WMO report also states that that long-term indicators of climate change such as increasing carbon dioxide concentrations, sea level rise and ocean acidification continue to be unabated. Arctic sea ice coverage remains below average and previously stable Antarctic sea ice extent was at or near a record low. Climate change and global warming have taken over a larger domain in the last few years and its rapidly growing effects have raised questions on Earth's habitability in the future. WMO's provisional Statement on the State of the Climate says the average global temperature from January to September this year was approximately 1.1 degrees Celsius above the pre-industrial era. As the result of a powerful El Nino, 2016 is likely to remain the warmest year on record, with 2017 and 2015 being second and or third, while the past five years - 2013-2017 - are set to be the warmest period on record. The WMO statement includes information submitted by a wide range of UN agencies on human, socio-economic and environmental impacts as part of a drive to provide a more comprehensive, UN-wide policy brief for decision-makers on the interplay between weather, climate and water and the UN global goals. "The past three years have all been in the top three years in terms of temperature records. This is part of a long-term warming trend," says WMO Secretary-General Petteri Taalas. "We have witnessed extraordinary weather, including temperatures topping 50 degrees Celsius in Asia, record-breaking hurricanes in rapid succession in the Caribbean and Atlantic reaching as far as Ireland, devastating monsoon flooding affecting many millions of people and a relentless drought in East Africa. "Many of these events – and detailed scientific studies will determine exactly how many – bear the tell-tale sign of climate change caused by increased greenhouse gas concentrations from human activities," he adds. Patricia Espinosa, Executive Secretary of UN Climate Changes says these findings underline the rising risks to people. "These findings underline the rising risks to people, economies and the very fabric of life on Earth if we fail to get on track with the aims and ambitions of the Paris Agreement. "Bonn 2017 needs to be the launch pad towards the next, higher level of ambition by all nations and all sectors of society as we look to de-risk the future and maximize the opportunities from a fresh, forward-looking and sustainable development path," Espinosa adds.